It’s Friday, so it’s time for another useful links post, this time on the topic of wardrobe management. This is not only one of my favorite topics to write about, it’s also one of my favorite topics to read about! Consequently, I had to go through a lot of bookmarked articles to curate the best ones for this list. So as not to overwhelm my readers, I’ll always keep my useful links posts to no more than seven links. Could you use some help with managing your closet? You’ve Read My Posts… Now You Can Hear Me! Since the podcast is over an hour long, we were able to cover far more ground than I usually can address in a blog post. If you listen in and have questions or comments, feel free to send them my way. I may even choose to address your question in an upcoming blog post! Jill Chivers of “Shop Your Wardrobe” outlines 33 questions to ask yourself while sorting through the items in your closet. These questions explore a variety of issues related to our clothes, from the practical to the psychological. You don’t need to use all 33 questions – just select the ones which resonate most for you (my favorites are strategies 7, 13, 17, and 31). This guest post on the Project 333 site explores one of the main reasons our closets get so overloaded. We keep clothes because we think we might need them one day. 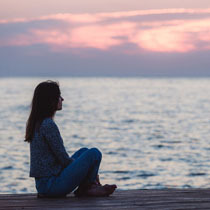 When we think of getting rid of such pieces, we say, “But, what if…” The perspective and advice in this article may help to loosen the grip that “what ifs” have over you. This article separates the process of overhauling your closet into seven days of concrete steps, from getting inspired (Day 1) to hosting a swap party to exchange closet cast-offs with your friends (Day 7). Of course, you don’t have to do it all in a week! To make things less overwhelming, you can tackle a step or two each week until you’re done or just pick the steps that best apply to your unique situation. I’ll close with another powerful article by Bridgette Raes. This tough-love post really resonated with me and gave me the kick in the pants I needed in order to whip my closet into shape! Reading it again today infused me with a “booster shot” to keep me on the right course. Especially relevant is Bridgette’s tip #2: Stop Buying More. After a summer during which I bought too much once again, I realize I need to rein things in if I ever want to reach my goals for 2013 and beyond. Thanks for telling it like it is, Bridgette! I hope you enjoy the articles and podcast! I wish you all a wonderful weekend (and for my U.S. readers, a Happy Labor Day, too). If you’re tempted to shop the many Labor Day sales over the weekend, you may wish to review my “Avoiding the 3 Most Common August Shopping Mistakes” article for some tips on resisting the August (and September) shopping pull. I’ll be back on Tuesday with my August accountability post, including an update on how I’m doing with my wardrobe benchwarmers (you may remember that I committed to determine the fate of all of them by the end of August). This entry was posted in Resources, Wardrobe Management. Bookmark the permalink. LOVE that Bridgette Raes called out the rise of YouTube rampant consumerism as problematic! Thank you for these links. Glad you liked the links, Amanda. 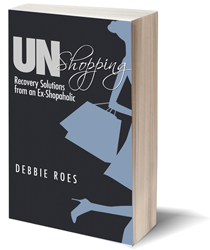 Bridgette Raes is right on in so many ways, including what she said about rampant consumerism! I enjoyed the last Bridgette Raes article. Sounds pretty practical to me! Enjoy your Labor Day. Glad you liked it, Tonya. Hope you have a great day, too! Excellent. I also love Bridgette Raes articles. Her tough-love post resonated with me and gave me the spark I needed in order to keep my closet in good shape. Thanks, Terra. 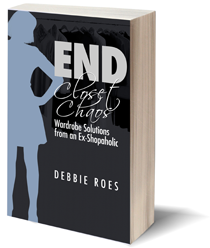 I needed the tough love, too, but I still need to GET my closet into good shape (and THEN keep it that way)! I enjoyed Bridgette Raes post about how most women don’t want workable wardrobes, because it means that you finally understand yourself enough to not feel like trying on different personas through clothing. Some people like this, it frees them up to think about other things. Others think such structured thinking is a big yawn–and that’s how I used to think. In my younger years, up until relatively recently– fashion to me was a fun game where one could adopt different facets of one’s personality (romantic, quirky, sporty, etc) through clothing expression, and the idea was to have a huge wardrobe to accommodate all these different looks you might want to express. Now that I have learned the love of culling, I see how exhausting my previous method was. I guess I do want to have a workable wardrobe after all, even though it does seem so responsible and serious on some level. I enjoyed listening to your conversation with Robert Wall. I always have wondered what your voice sounds like! Some parts were funny, like when he said, “well, theoretically if you have X number of garments, then you don’t have to do laundry for months”, and you replied, “yes, but I don’t think I have enough underwear…” That sounds like something a man would come up with–a practical formula of how to get out of doing laundry! As a followup to yesterday’s post, I was able to get “I Don’t Have a Thing to Wear” by Taggart & Walker from the public library, and I just took the style persona quiz this morning. I expected to come up as a Natural like I do in the David Kibbe system, but to my surprise I was predominantly a Mood Dresser with a subcategory of Modernist. This interpretation supports what I wrote previously about fashion being a game every day. Always learning something new that I seem to have instinctively known all along! Glad you liked the links in this post, Deby! I can identify with what you wrote, as I always liked to express different personas through my clothing, too (hence, the “Mood Dresser” predominant score on the “I Don’t Have a Thing to Wear” persona quiz). But that led to a HUGE closet filled with too many clothes. I’m learning to develop a more defined style with some wiggle room for expressing my moods, but it’s taking a while. Glad you got some chuckles from the Robert Wall interview. I listened to it again myself the other day… Although the sound quality for my part was a bit poor and I never like listening to my voice, I liked what I had to say and the interchange between Robert and myself. Yes, the underwear line was funny. I enjoyed being able to mix things up a bit by doing some audio. Hope to do more of that and perhaps some video in the future. I’d never heard of being a mood dresser before I took this quiz the other day. I used to just tell people I was a mood dresser. The thing about mood dressing I’ve come to realize, is that some of those “moods” don’t necessarily look good on a person, and in one case for me, it was kind of a wakeup call about the whole concept of dressing with this attitude awhile back. I’ve always had a love of vintage details in clothing. I had collected a few contemporary blouses that had handmade tailoring details that you would have seen in clothing of the early 20th century–tucks, subtle lace, etc. To me they were beautiful pieces of art, and I IMAGINED that I must look like a character in a novel when I wore them, especially if I wore my hair up in a casual chignon. This was the fantasy that fueled the look. When I really LOOKED at myself in this ensemble, what I saw in the mirror was something else. In reality, I was not like the romantic heroine of my fantasy–not by a long shot. The blouse was too fussy and the fit did not flatter my body–it made me look dumpy and rather sad. My features are not delicate enough to be flattered by such delicate detail, so I looked unbalanced. The blouse was wearing me. I didn’t like the look or the feeling–and I realized why: the style was not authentic to who I am in my real life. Once I started evaluating my “costumes” with the new criteria of authenticity to what I want to present about myself (not a character out of an E M Forster novel! )–it was much easier to figure things out. Thanks for gathering these links for us, Debbie! Such interesting reading. I always enjoy your accountability posts and can’t wait to hear the latest on your benchwarmer project. Take care and have a great holiday weekend! Glad you liked the links and enjoy the accountability posts, Claire. I’m excited to share about the benchwarmers myself. It has been quite the journey for me, but I’m so happy to be making progress! Hope your weekend has been a good one! Thanks so much for including these links to my blog! I am glad they resonated with so many of you! You’re welcome, Bridgette. I love what you write and I’m happy to pass your words of wisdom on to my readers! Thanks for sharing these links, Bridgette’s blog looks like a great resource! Wardrobe management really interests me because my wardrobe is anything but managed. I really want a small wardrobe, yet I’ve been overshopping for years and I never throw anything out. What am I doing wrong 🙂 ? I think it may finally be time to let go of some clutter with the help of the resources above. I can identify so much with what you wrote, K! Guilty as charge about overshopping when I keep saying I want a smaller wardrobe! I AM throwing things out, but one has to buy less or else the closet will fill up once again… I hope you find the resources helpful and that your closet will start moving in the right direction very soon! No problem at all to post the link, Bridgette! I’m sure K appreciates the link and I look forward to reading another one of your great articles (and I’m sure others do as well).